High speed electro mechanical regulators that provide constant output voltage by using a Variac and a buck boost Transformer, makes a servo Stabilizer. These are Ideal For places where the Problem of Low-High voltage scenario exists or high voltage fluctuations exists. Fully Auto protected. Digital as well as Analogue designs available. 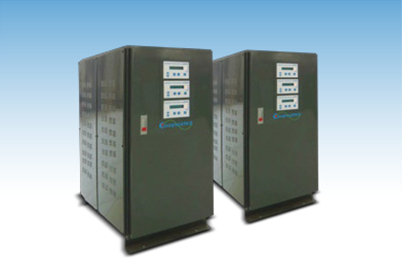 Extremely high efficient servo stabilizers are available from 1KVA to 1000KVA.